New Delhi, Dec 4: Despite his 181-run fourth-wicket stand with skipper Dinesh Chandimal saving Sri Lanka from the follow-on, former captain Angelo Mathews wasn't happy after the tourists lost quick wickets to end the third day of the final cricket Test at 356/9. Mathews stroked a marathon 268-ball 111, comprising 14 boundaries and two sixes to rescue the visitors after they lost three quick wickets on Sunday afternoon. 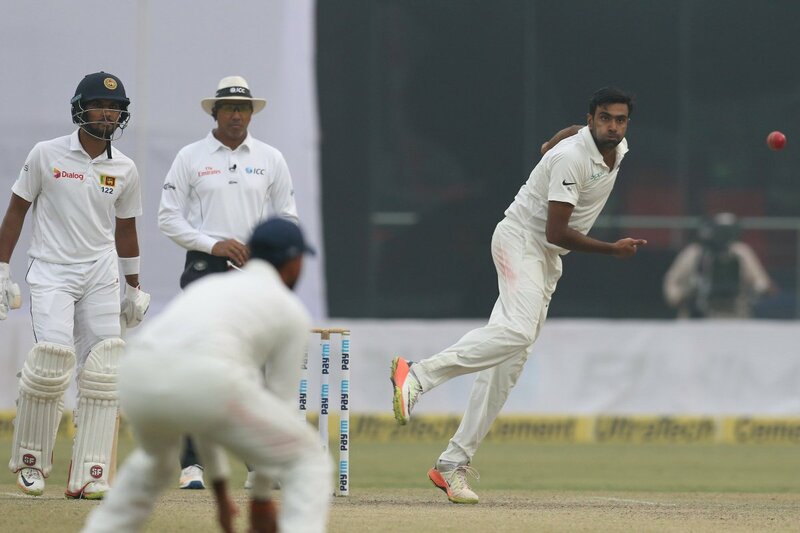 The visitors, however failed to wrest back the advantage once Ravichandran Ashwin broke the big fourth wicket stand with the scalp of Mathews,and subsequently lost five quick wickets towards the end of the day. "Little bit disappointed the way we ended up. We could have had a few more wickets in hand, specially going in to Tuesday," Mathews told reporters at the end of the day's play on Monday. "It was a good wicket, yes there was the odd ball taking turn but no real danger. Obviously it will start turning a little more as we go into the fourth and fifth days. "They (India) kept at it and we had to work extremely hard to get the runs. We made the bowlers work very hard," he added. Mathews, who got two lifelines to get to his 8th Test hundred after a 19-month gap, admitted that he was under a lot of pressure to score big. "It was not the most fluent innings, but I had to work extremely hard. Had a bit of luck as well, end of the day, runs matter," he said. "I knew I was hitting the ball well, it's just that I was disappointed at not converting my starts. Once I got in, I told himself here that I'll carry on. "As cricketers and as batsmen, you're always under pressure. There's no game where I haven't been under pressure. I like those challenges, you have go out there and enjoy yourself," he added. Mathews also praised Chandimal, who got to his 10th Test ton and remained unbeaten on 147 at the end of the day's play. "Chandi was outstanding, he worked hard and so fluent as well. It was a pleasure watching him bat from the other end," he said.